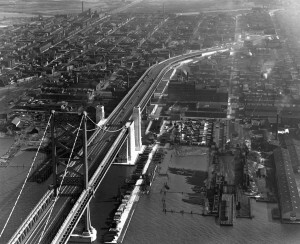 Camden and Philadelphia have been linked by the Ben Franklin Bridge since 1926, a time when Camden was an industrial powerhouse. The mid-twentieth-century collapse of Camden's economy left it impoverished and struggling. As the twenty-first century entered its second decade, there was new hope for the city's revival. A resurgent Cooper Street Historic District, at right, leads toward the Delaware River waterfront, where the latest development plans were unfolding in 2016. Founded in 1869, Campbell’s is a producer of canned soups and related products. 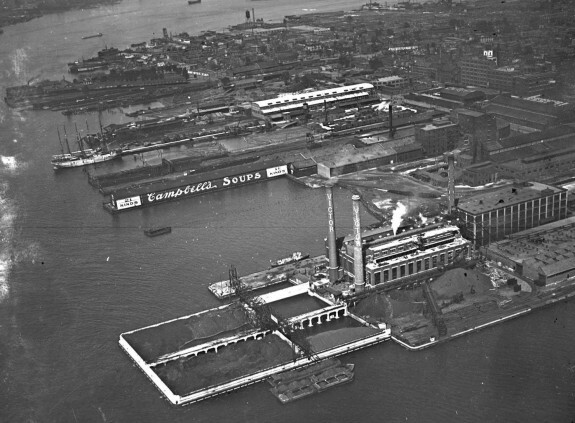 Known the world over for its chicken noodle and tomato soup, Campbell’s centralized its production on the Camden waterfront for decades. However, due to corporate restructuring in part to avoid rising labor costs, Campbell’s soup production left Camden during the 1950s. In the foreground are the production facilities of RCA Victor. 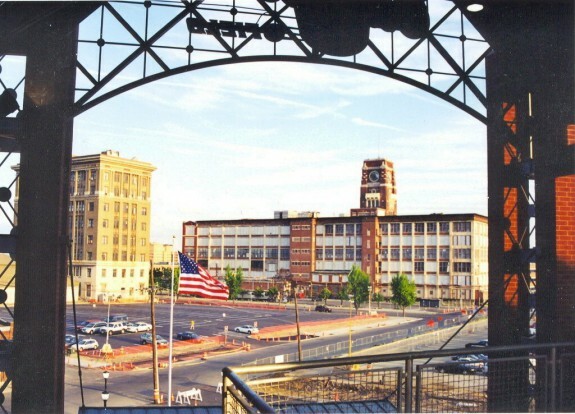 Although Campbell’s moved its production from Camden, the company's corporate base remained in the city, and in 2009 it completed the construction of a new, expanded headquarters. 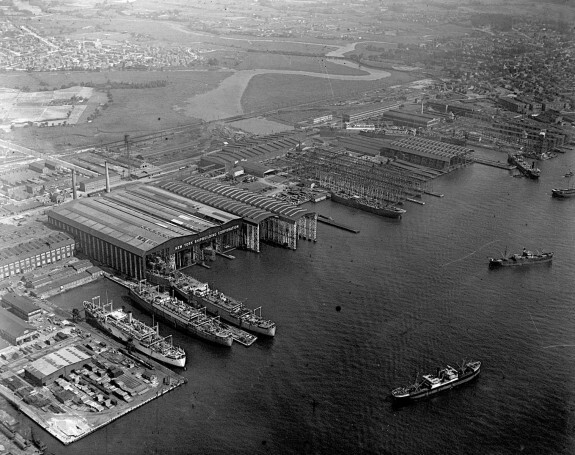 New York Shipbuilding Company was one of the major manufacturing companies that called Camden home at the turn of the twentieth century. At its peak during World War II, the company employed 47,000 people, but during the 1950s it lost business to newer facilities in other parts of the country. By 1967, New York Ship had shut down. 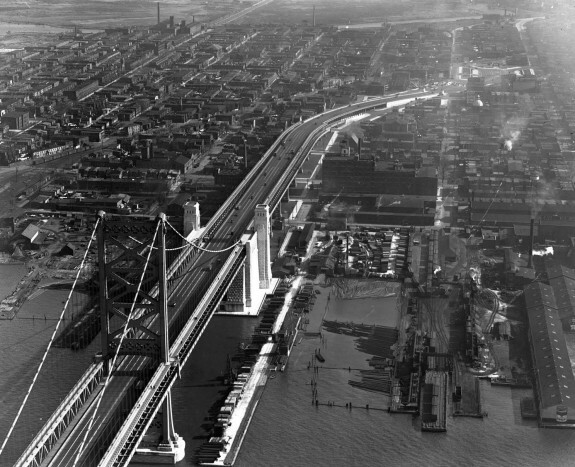 Camden viewed the completion of the Benjamin Franklin Bridge in 1926 as a symbol of the seemingly limitless possibilities for the city as it secured an impressive link to Philadelphia. At the time of its completion, the bridge was the largest single span suspension bridge in the world. 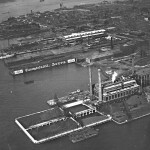 Camden would boast about its new connection to Philadelphia as the final piece needed for it to become a “second Brooklyn.” Surrounding the bridge towers and approach lanes in this photograph are the many industrial buildings that provided workplaces in the 1920s. By the mid twentieth century most of them were gone. The American poet Walt Whitman, known for his free-verse style of poetry and his renowned and controversial collection of poems knowns as Leaves of Grass, spent many years in Camden. 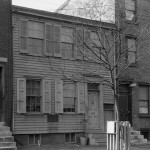 Following his experience in Civil War hospitals in Washington, D.C., Whitman moved in with his brother in Camden. Within a few months Whitman moved into a house on Mickle Street (now known as Martin Luther King Drive), the only house he would own. Whitman lived in Camden for the rest of his life. 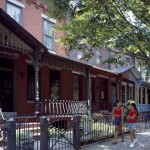 Camden's greatest growth occurred during the rise of industry during the late nineteenth and early twentieth centuries, creating housing that remains in many of the city's neighborhoods. From a population of 3,298 in 1830, the population nearly tripled by 1850, more than tripled again by 1880, and reached 116,309 in 1920. By the time this photograph was taken in 1980, jobs and population had fallen into decline, but the housing remained as a reminder of more populous and prosperous times. Following the lead of other cities attempting to revive their economies in the aftermath of economic restructuring, Camden officials sought to attract new investment to its once industrial waterfront with the goal creating a tourist destination. The state decision to locate an aquarium there opened the door to redevelopment, but progress slowed after Campbell Soup backed out of its commitment to relocate its corporate headquarters there from a separate campus off of Admiral Wilson Boulevard. 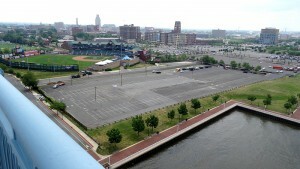 The parking lots on Camden's Delaware riverfront, an area that once was packed with industrial buildings and busy wharves, were named in September 2015 as the proposed site of a $1 billion office, residential, and commercial complex. Beyond the lot to the left is Campbell's Field, a minor league baseball stadium that opened in 2001 as part of the first wave of waterfront development intended to light the fuse on revitalization and and bring more visitor dollars into the city. 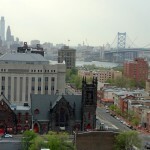 The tallest tower at upper left center is Camden City Hall. 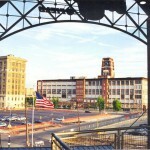 The tower at upper right center is part of the Victor Lofts, apartments housed in the an old assembly plant of the Victor Talking Machine Company, later RCA Victor. 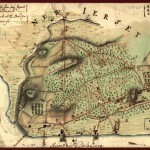 Map of the environs of Camden, N.J. 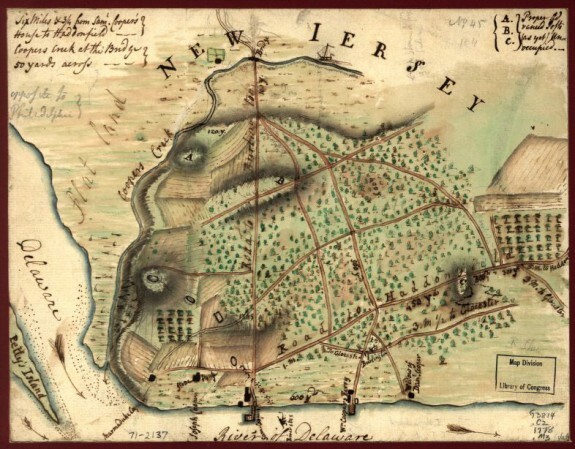 This early map of Camden, New Jersey, possibly from 1778, was drawn in pen and ink, pencil, and watercolor, with the direction north to the left. Arrows indicated the direction of the water's flow in the Delaware River, and a pale notation says that Camden is "located opposite to Philadelphia." Among other features are roads labeled as going to Gloucester, Burlington, and Haddonfield. In the upper left is the inscription "Six miles & 3/4 from Sam Cooper's house to Haddonfield." 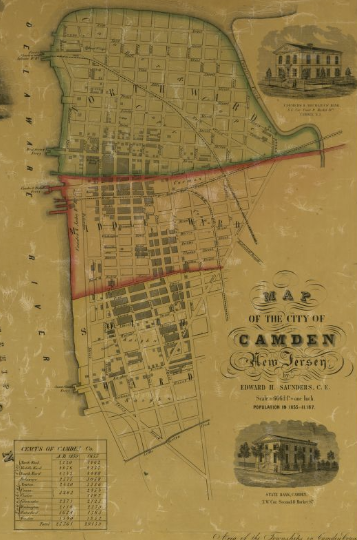 This map of the City of Camden is excerpted from a larger map of Camden County published in 1857 by Edward H. Saunders. A chart with population figures for Camden shows it was growing rapidly, with 29,159 people in 1855 compared to 25,561 in 1850—a 14 percent jump in five years. The overall population for the county in 1855 was 41,187, and Camden City accounted for 71 percent of that, making it the county's dominant city. That dominance continued to build into the twentieth century as commerce and industry grew, then collapsed in the mid-twentieth century as major companies faltered or moved away and residences and shopping shifted to the suburbs. On the map, the Delaware River shoreline shows four ferry piers: Camden and Atlantic Railroad at the north (top) end of the city, the West Jersey Ferry at the foot of Market Street, the Camden and Philadelphia Ferry at the foot of Federal Street, and the South Camden Ferry at Kaighn's Avenue. Ferries continued to be the main way people and goods moved between Camden and Philadelphia until 1926 when the Benjamin Franklin Bridge was opened. Among the map's embellishments, the building in the upper right is the Farmers' and Mechanics' Bank at Front and Market Streets, and the image at lower right is the State Bank at Second and Market. Rutgers University’s Camden campus began life as the College of South Jersey and the South Jersey Law School in 1926. The two schools merged with Rutgers University in 1950, becoming Rutgers University-Camden. 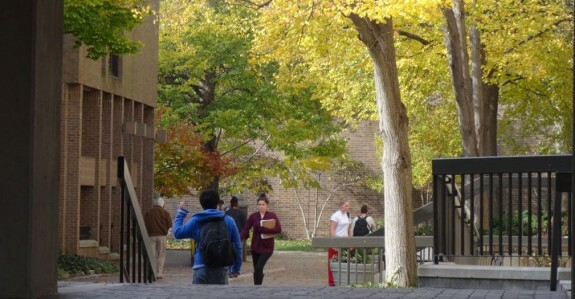 In 1981 the campus offered its first master of arts degrees in biology, English, and business administration. 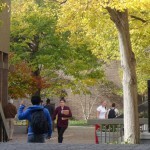 In 2007 Rutgers-Camden started its first doctoral program, in Childhood Studies, the first of its kind in the United States. During the second half of the twentieth century and into the twenty-first, Rutgers-Camden has embraced civic engagement—encouraging students and faculty to actively engage the community through community-outreach programs. Among them are the LEAP Academy charter school for grades pre-K-12 and the Pro-Bono Bankruptcy Project (providing bankruptcy filing assistance to people in need), and lending the Gordon Theater and its Black Box studio theater as the site of cultural events such as plays and music performances. In sports, the mascot for Rutgers-Camden teams is the Scarlet Raptor. 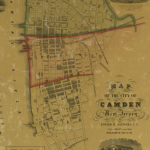 Incorporated in 1828 and named county seat of the newly formed Camden County when it separated from Gloucester County in 1844, Camden City long served as the heart of the South Jersey region directly across the Delaware River from Philadelphia. Besieged in the second half of the twentieth century by losses of population and economic instability as industry declined, Camden lost its once premier standing as it struggled with high levels of poverty, crime, and environmental degradation. Despite multiple initiatives intended to revive its fortunes and the resilience of its residents and anchor institutions, the city remained a drag on regional prosperity into the early years of the twenty-first century. 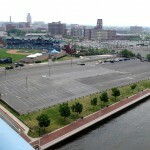 Initially boosted by ferries connecting settlement in West Jersey to Philadelphia across the Delaware River, the area that became Camden capitalized on its strategic location for shipping. Its position further improved with the arrival of the Camden and Amboy Railroad in 1834, a primary link between Philadelphia and New York City. Although the town remained in Philadelphia’s shadow through the Civil War, with peace it attracted both the immigrant workforce and the capital needed to establish its own industrial base. In addition to a host of small firms, Camden became home to major manufacturing companies at the turn of the new century: most prominently Campbell Soup, New York Ship, and RCA Victor. The concentration of opportunity drew migrants from the United States and abroad. From a population of only 14,358 in 1860, the city reached nearly 76,000 by 1900. Among those drawn to the city in the aftermath of the Civil War was Walt Whitman (1819-92). Following the traumatic experience of comforting Union troops during the war while based in the nation’s capital, Whitman sought relief for his poor health by moving into his brother George’s home in Camden in 1873. Subsequently moving into a snug home—the only one he ever owned—a few blocks away on Mickle Street (subsequently MLK Boulevard) near the waterfront, Whitman relished the remaining years of his life in the city. A frequent visitor by ferry to Philadelphia, he claimed that such trips reminded him of the experiences in his youth that informed his poem “Crossing Brooklyn Ferry.” At the time of Whitman’s death, an extended procession, headed by Whitman’s close friend the Philadelphia artist Thomas Eakins (1844-1916), made its way to burial at Harleigh Cemetery at the city’s edge, where the tomb of the poet’s own design continued to attract admirers into the twenty-first century. The prosperous 1920s appeared to signal unlimited possibilities for Camden. 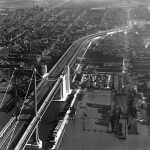 Linked in 1926 to Philadelphia by the largest single span suspension bridge in the world at the time, Camden touted its connection across the Delaware River as the boost it needed to become a “second Brooklyn.” Boosters envisioned the formation of a “Greater Camden” encompassing the city’s surrounding towns and dominating South Jersey. Camden never extended its boundaries, but the city continued to grow in population and influence into the early 1950s, as long its big three businesses thrived. Built upon a tightly knit neighborhood structure, often centered on Catholic parishes with distinct ethnic identities, Camden survived the ill effects of the Great Depression and once again rose to prominence with the boost World War II gave to its industries. The combination of corporate restructuring and demographic change altered the city’s trajectory after the war, however. Both RCA and Campbell’s Soup decentralized their primary production operations, in part to avoid rising labor costs as previously unorganized workers unionized. 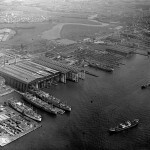 Losing its favored position to newer facilities in other parts of the country, New York Ship’s employment dropped precipitously from a height of 47,000 workers during the war and shut down entirely in 1967. From a height of nearly 125,000 people in 1950, the city’s population declined to just over 100,000 in 1970. For most of its history, Camden dominated the surrounding area, offering the broadest range of employment, shopping, and entertainment options to area residents. As residents left the city for the surrounding suburbs, however, Camden ceased to be the primary destination it had been for generations. Decentralization of commerce as well as population took a major turn when the Cherry Hill Mall, the first enclosed shopping center on the East Coast, opened in Delaware Township (soon thereafter renamed Cherry Hill itself) in 1961. Within a few years, the property valuation of Cherry Hill surpassed that of Camden, a gap that only widened over time despite the suburb’s smaller number of residents. Other professional services, notably law, also decentralized, though hospital services largely remained in the city, despite some interest at both Cooper and Lady of Lourdes in relocating to the suburbs. 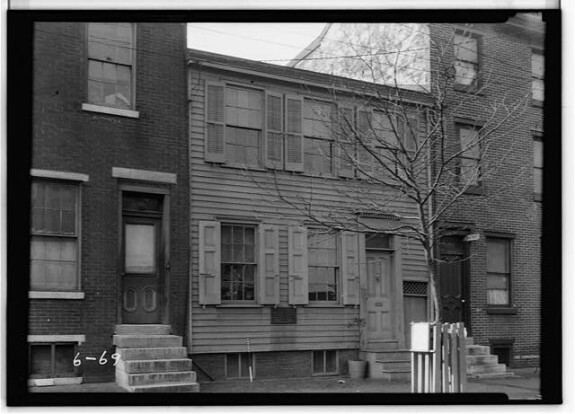 As a relatively small minority before World War II, Camden’s African American population concentrated in parts of South and East Camden, occupying the few homes that they were not barred from and facing strict segregation in a host of public facilities. As their numbers grew during and after the war, they pressed for civil rights, especially more housing options in both publicly and privately constructed facilities. A robust urban renewal program launched in the early 1960s made the housing crisis worse, however, by demolishing many older homes occupied by blacks. Protests followed, culminating in 1971 when news that a city policeman had shot a Puerto Rican motorist set off more than three days of civil disturbances. Already pulled to the suburbs by the promise of new housing at affordable rates, Camden’s white ethnic residents accelerated their departure from the city. In the decade after the riots, the white population fell from 61,303 to 26,003. In the same period, the percentage of the population that was black climbed from 39 to 53 percent. In 2010 the city’s population, which had fallen below 80,000, was 44 percent African American and 47 percent Hispanic. 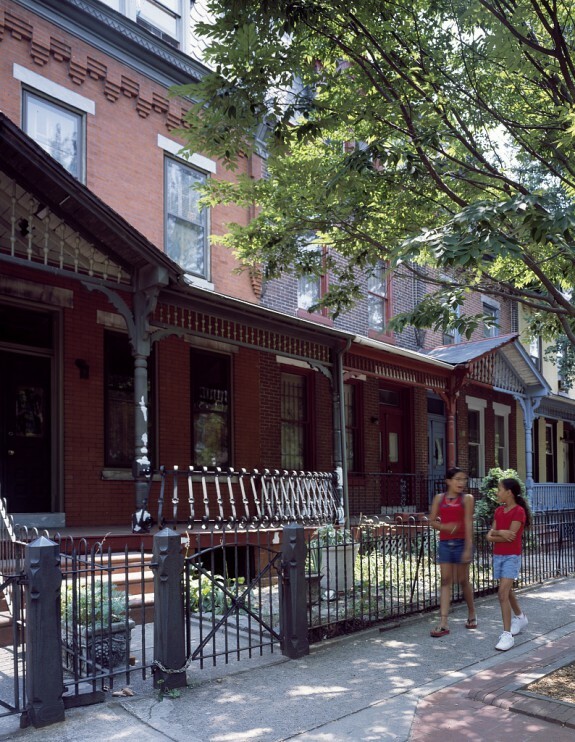 Other initiatives targeted Camden’s high-poverty neighborhoods, including some of the most effective community development corporations in the region. Often affiliated with a parish, these organizations secured funding for housing rehabilitation and undertook a number of associated community-driven programs. Such efforts helped stabilize parts of the city, without, however, eliminating the associated costs of highly concentrated poverty: crime, poor health, and school dropouts. 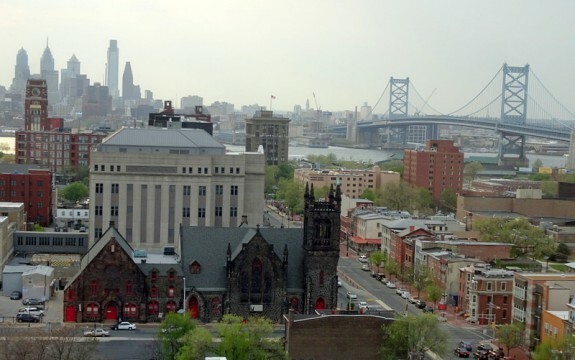 Depressed property values and continued loss of business kept Camden city for years from raising sufficient revenues to meet its obligations, forcing the state to provide the funds constitutionally required to balance the city’s budget annually. Seeking to contain those expenses, the state first established an oversight board to monitor the city’s expenses. Subsequently, in 2002, it took control of the entire city by putting its own chief operating officer in charge of day-to-day city business. Accompanied by $175 million in funding set aside as leverage to attract new business to the city, the state undertook a comprehensive planning process aimed at attracting sufficient reinvestment to replenish the city’s revenues. The state takeover lasted seven years, without substantially reducing the city’s structural deficit. Democrats in the state legislature terminated the program before Republican governor-elect Chris Christie (b.1962) could take charge. Such machinations proved unnecessary. Seeing a way of getting enough votes from the Democratic legislature to advance his programs, Governor Christie showered Democratic power brokers based in South Jersey with favors for Camden, including more than $1 billion in tax incentives to lure new businesses to the city. Hardly a boost to Camden residents themselves, who were ill prepared by education and training to fill these largely white collar positions, Christie’s approach at least offered the prospect of recentering Camden in South Jersey. Together with a handful of outstanding educational and medical institutions committed to building their presence in Camden, these new investments helped boost Camden as a destination. Whether such investments would bring with them further means for preparing Camden residents for the opportunities they represented remained to be seen. In the meantime, political opposition to opening up suburbs to greater numbers of affordable housing units meant that as much as Camden’s business fortunes might rise in subsequent years, new companies were likely to encounter a sea of poverty around them. Howard Gillette Jr. is Professor Emeritus of History at Rutgers-Camden and author of Camden After The Fall: Decline and Renewal in a Post-industrial City. He is co-editor of The Encyclopedia of Greater Philadelphia. Cowie, Jefferson. Capital Moves: RCA’s Seventy-Year Quest for Cheap Labor. Ithaca, N.Y.: Cornell University Press, 1999. Dorwart Jeffery M. Camden County, New Jersey: The Making of a Metropolitan Community, 1626-2000. New Brunswick: Rutgers University Press, 2001. Katz, Matt. American Governor: Chris Christie’s Bridge to Redemption. New York: Simon & Schuster, 2016. Gillette, Howard Jr. Camden After The Fall: Decline and Renewal in a Post-Industrial City. Philadelphia: University of Pennsylvania Press, 2005. Reynolds, David. Walt Whitman’s America: A Cultural Biography. New York: Knopf, 1995. Sidorick, Daniel. Condensed Capitalism: Campbell Soup and the Pursuit of Cheap Production in the Twentieth Century. Ithaca, N.Y.: Cornell University Press, 2009. Camden vertical and photographic files, Camden County Historical Society, 1900 Park Boulevard, Camden, N.J. Adventure Aquarium, 1 Riverside Drive, Camden, N.J.
Benjamin Franklin Bridge between Camden and Philadelphia. Camden City Hall, 520 Market Street, Camden, N.J.
Campbell Soup, 1 Campbell Place, Camden, N.J.
Cooper University Hospital, 1 Cooper Plaza Camden, N.J.
Harleigh Cemetery, 1640 Haddon Avenue, Camden, N.J.
Rutgers University-Camden, vicinity of Fourth and Cooper Streets, Camden, N.J.
Walt Whitman House, 330 Martin Luther King Jr. Boulevard, Camden, N.J.